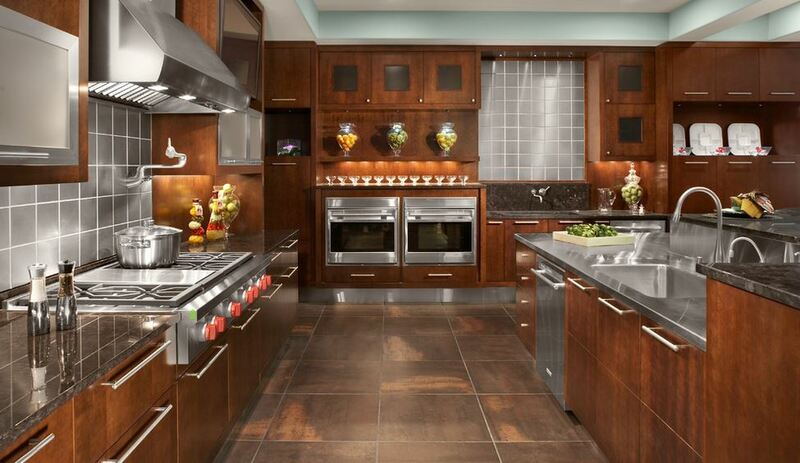 Generally speaking, kitchen remodeling projects fall into the following three categories: minor, major, and upscale. In a functional but dated 200-square-foot kitchen with 30 linear feet of cabinetry and countertops, leave cabinet boxes in place, but replace fronts with new raised-panel wood doors and drawers, including new hardware. Replace wall oven and cooktop with new energy-efficient models. Replace laminate countertops; install mid-priced sink and faucet. Repaint trim, add wall covering, and remove and replace resilient flooring. Update an outmoded 200-square-foot kitchen with a functional layout of 30 linear feet of semi-custom wood cabinets, including a 3-by-5-foot island; laminate countertops; and standard double-tub stainless-steel sink with standard single-lever faucet. Include energy-efficient wall oven, cooktop, ventilation system, built-in microwave, dishwasher, garbage disposal, and custom lighting. Add new resilient flooring. Finish with painted walls, trim, and ceiling. 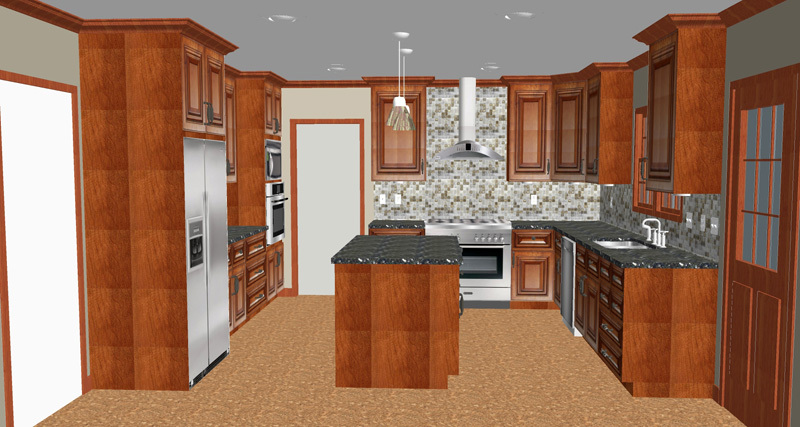 Update outmoded 200-square-foot kitchen with 30 linear feet of top-of-the-line custom cherry cabinets with built-in sliding shelves and other interior accessories. Include stone countertops with imported ceramic or glass tile backsplash; built-in refrigerator, cooktop, and 36-inch commercial grade range and vent hood; built-in warming drawer, trash compactor, and built-in combination microwave and convection oven. Install high-end undermount sink with designer faucets and built-in water filtration system. Add new general and task lighting including low-voltage undercabinet lights. Install cork flooring, cherry trim. 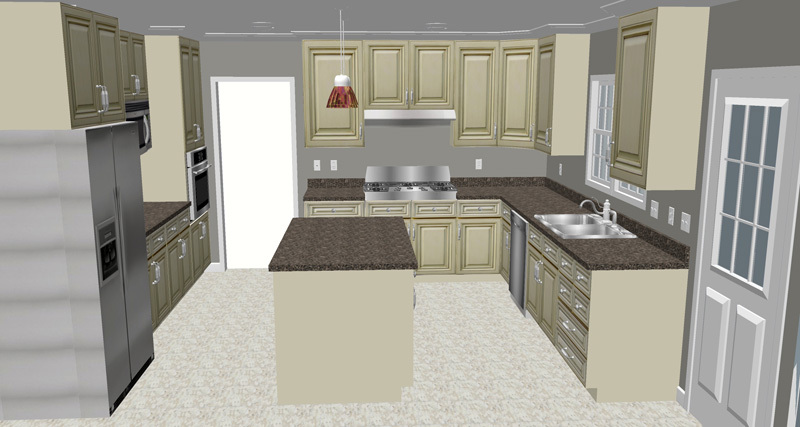 Obviously if you live in a multi-million dollar home and money is not an issue, then going with the upscale kitchen remodel plan is the way to go. But, if money is in short supply, like it is for many families in the current economy, then a minor kitchen remodel or a variation thereof is probably the way to go for cost-conscious homeowners. 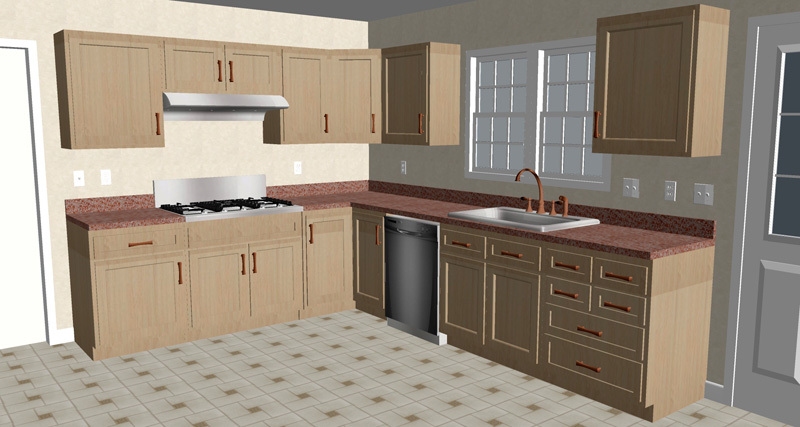 According to National Kitchen & Bath Association, kitchen cabinets can account for about a third of the total kitchen remodel cost, while countertops are about 10 percent.